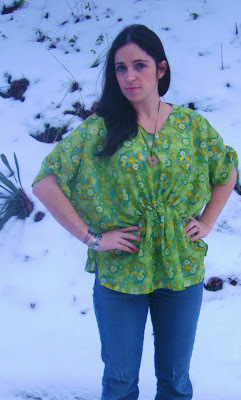 I've been wanting to make a tunic for a while. 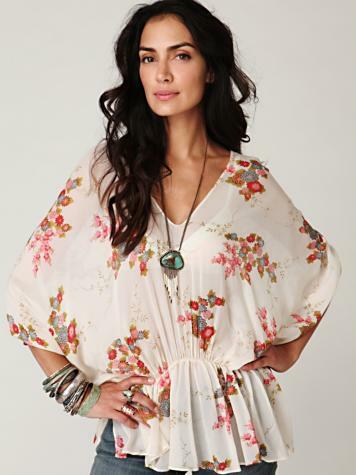 I browsed around online at Free People and found this for inspiration. 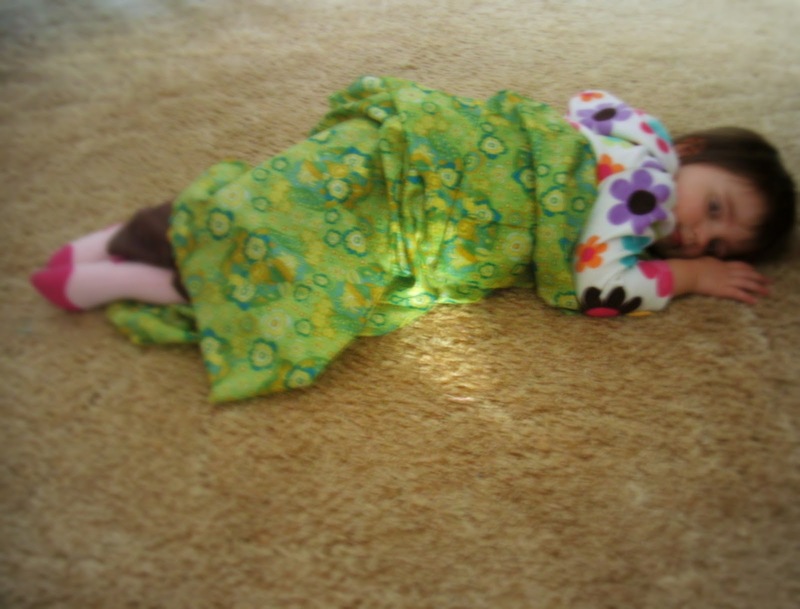 So on Friday I went to the fabric store and spent $ 17.00 on a yard of Anna Maria Horner's gorgeous voile - the perfect thing to make a flowy tunic (or to snuggle with on the floor). 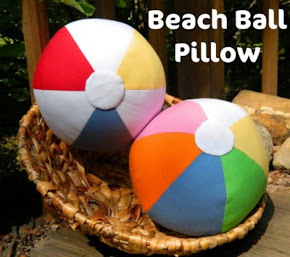 Here's my step by step process - it's not the most precise tutorial, because I was kind of just free-style sewing it - but I did my best to document it for you in case you would like to make one. I would also like you to know that I really made it goofy the first time. Here's your comic relief for the morning. Bad. Too blousy - not enough shape. So I ripped and ripped and basically started over. 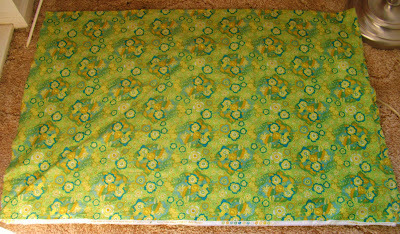 Step 1: Lay the fabric out folded in half. Then fold it in half again. Determine the size of your neckline - I cut a triangle 3"x2". Cut all the layers. This is the back neckline. 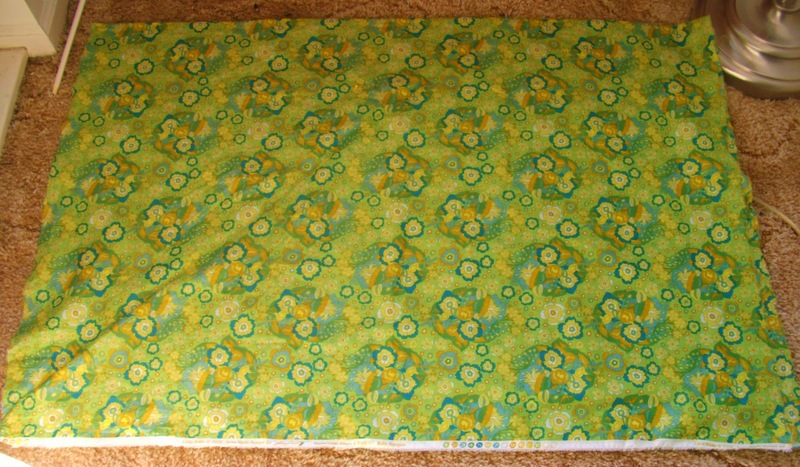 Now split the top layer along the fold -about 5"down. Cut a straight line from the bottom of that slit to the top at the 3"mark (only cut ONE layer). Flip the fabric over and repeat on the other side. 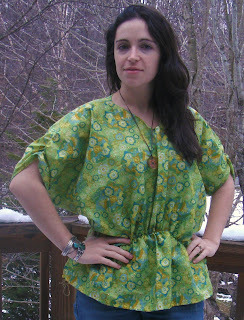 Step 2: Hem all of the sides and the neckline. Turn each edge over once and then again and press. Pin it well and topstitch the hem. Measure your waist at your bellybutton. Mine was 31". 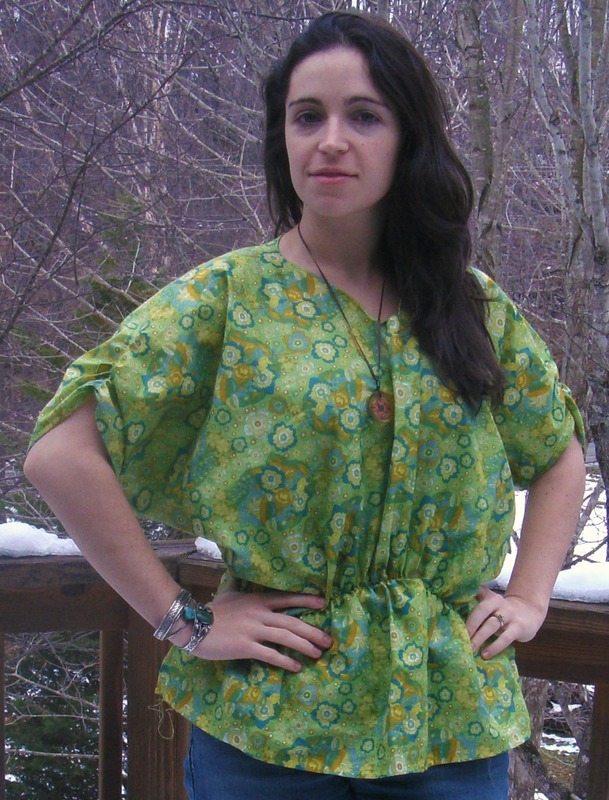 Fold the tunic in half. 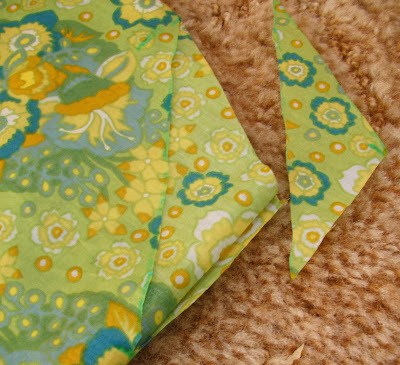 Along the fold, measure 9" up from the hem. Then measure your C measurement out from the 9" mark. At the corner edge of the tunic draw a line to the 23" marking. 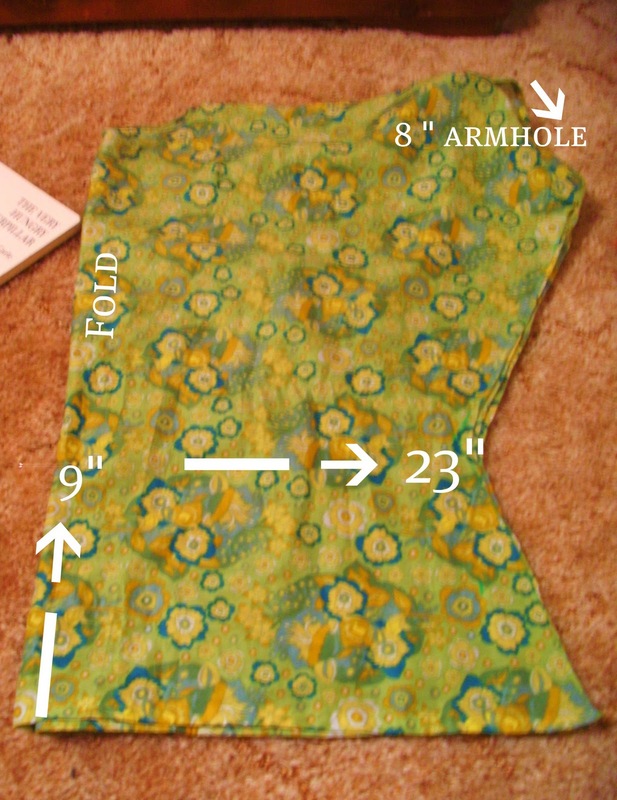 Step 4: Now measure your armhole. From the top right edge measure down 8". (or more if you think you might need it). From that 8" marking, draw a line to the 23" mark. It will look kinda like this once you cut it. Step 5: Cut along those lines through all layers. Open up your tunic and turn it right sides together. Now we are going to add the elastic. 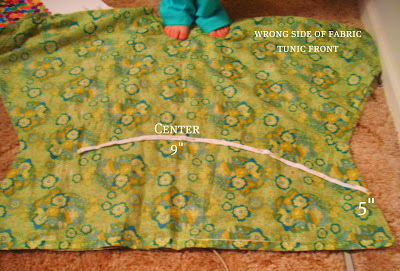 Step 6: Find the center of the front of the tunic. Measure up 9" and place a pin. Starting at the edge, 5" up from the hem, draw a curved line up to the 9" measurement and then back down to the other 5" marking. 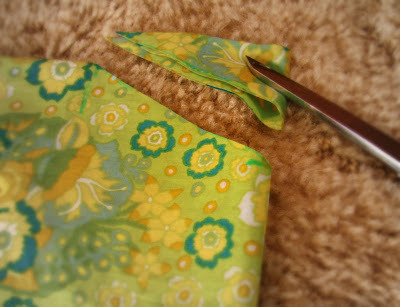 Pin the elastic to one edge and sew it on - pulling it tight towards you as you go (this will make it gather). Step 7: Still right sides together, lay the tunic down back side facing you. Draw a line 5" up from the hem straight across the tunic back. 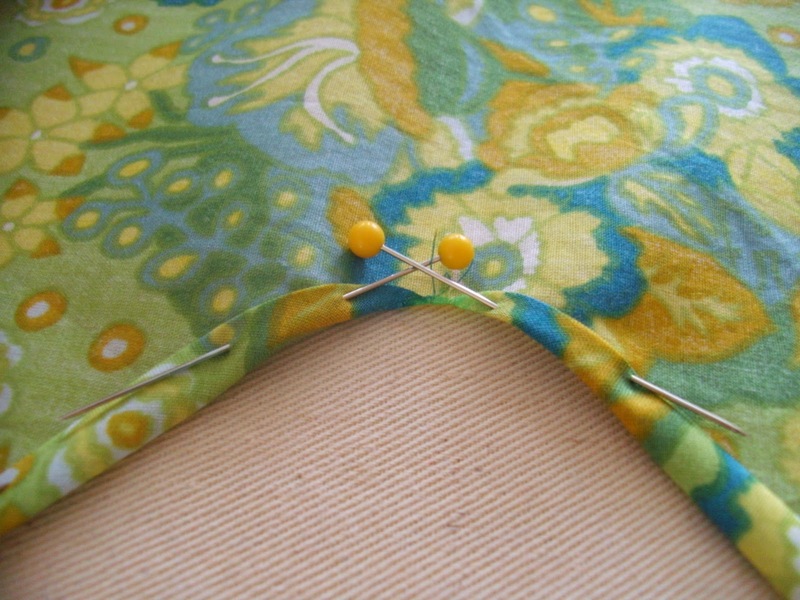 Pin the elastic to one edge and sew it on using the same method as before. Step 8: You're almost done!! From the 8" mark (at the bottom of the armhole) sew the side seams,right sides together, using a 1/2" seam. Stop at the 5" mark before the hem - so that you will have the slits on the sides. Step 9: Sleeve detail. Find the center top of the sleeve. 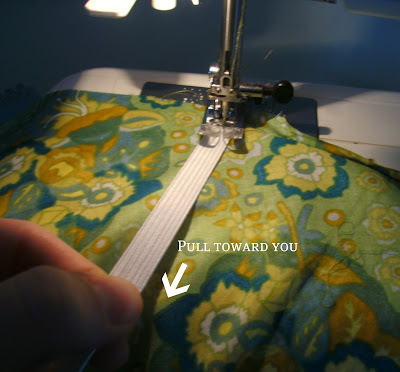 Sew a basting stitch about 7-8" along the center of the sleeve. 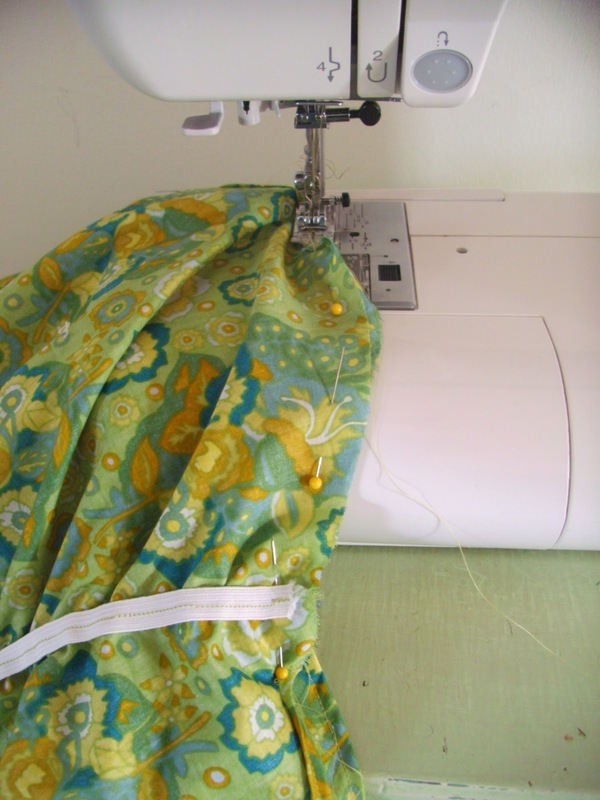 Gather it - more towards the edge of the sleeve - when you are happy with it - secure it with a regular topstitch. 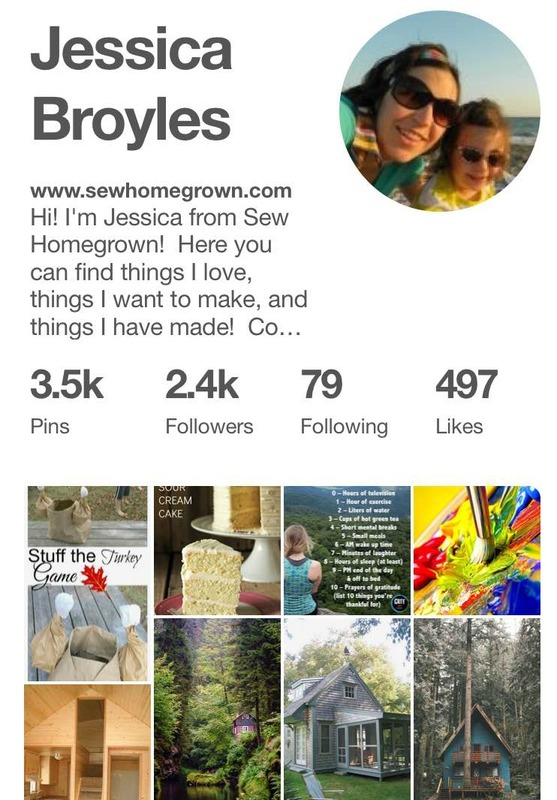 Wow - so if you made it through all that and even remotely understood what I was talking about -BRAVO!! Load a pic up to the Flickr Pool so I can see! 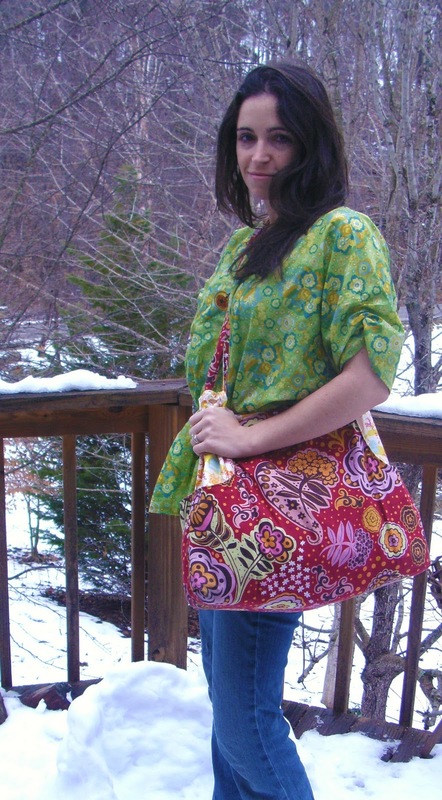 and remember - it's the last day to leave a comment for a chance to win the "kick up your heels" apron!